1. World-leading quality CE ring die pellet mill, can press high crude fiber biomass waste and chemical fertilizer materials into 2-8mm diameter pellets. 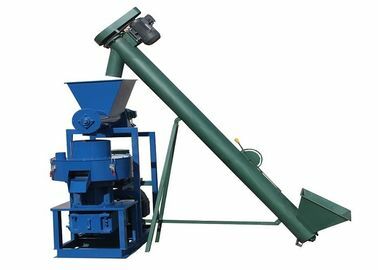 It is specially fit for biomass waste from wheat straw or rice straw, corn stalk, rice husk, palm fiber, palm shell or groundnut shell, very hard wood etc., also can press fertilizer granules from animal manure, plant waste, chemical waste etc. 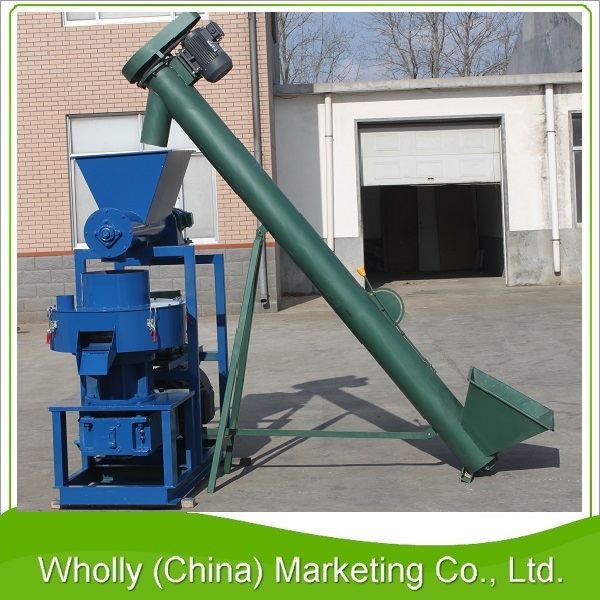 Before pelletizing, raw materials should be crushed into fine powder, humidity keeps 15%~20%. 2. CE ring die pellet mill, adopts both common ring die pellet machine and flat die pellet machine advantages, working principle is: roller assemble moves, the ring die keep stable, producing high larger pressure, then pressing very low adhesive biomas waste into high denisty pellets----1.1-1.4 ton/m³. Pellet length can be adjustable. 3. 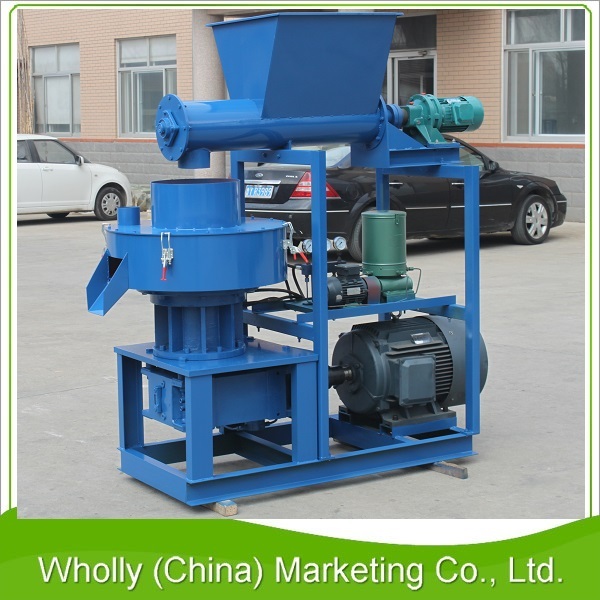 CE ring die pellet mill contains hydraulic pressure pump, which can adjust pressure automaticallyto fit for different materials pressure ratio. 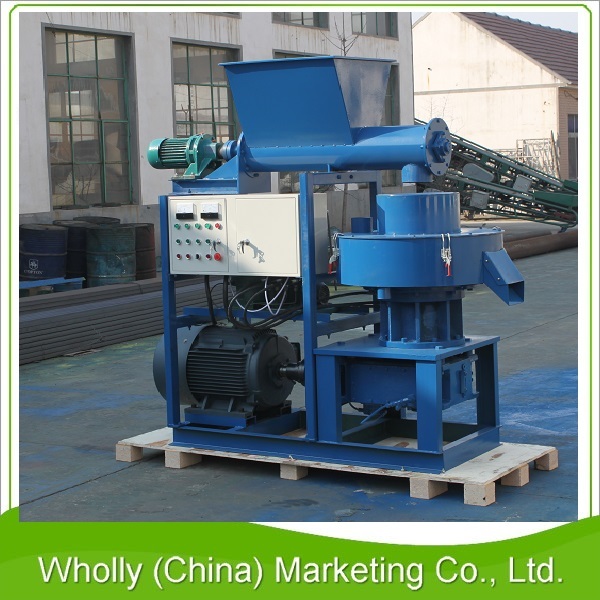 When adjustad to fit the pressure, pressure will keep stable automatically, but other supplier pellet machine need to adjust pressure manually each time use, very trouble to operate. 4. CE ring die pellet mill, also contains full automatical lubricate spare parts oil systems, which can lubricate spare parts oil automatically----spare parts such as rollers, vertical shaft, gears, bearings, but other common supplier pellet machine needs to add oil each four working hours, very trouble to operate.